Belgium's solo project Imber Luminis have returned with a new recording which shows the music going into more of a post black metal direction and this is a review of their 2018 album "Contrasts" which will be released by July 28th by Naturmacht Productions. A very dark and atmospheric sound starts off the album while the tremolo picking gives the songs more of a raw feeling along with all 3 of the tracks being very long and epic in length along with the faster sections of the tracks bringing in a decent amount of blast beats and the vocals are mostly depressive black metal screams. Throughout the recording you can also hear a great mixture of slow, mid paced and fast parts while all of the musical instruments have a very powerful sound to them along with some clean playing being added into certain sections of the recording as well as the music also bringing in a great amount of post metal elements and when guitar solos and leads are utilized they are done in a very melodic style and as the album progresses keyboards can also be heard in certain sections of the recording and spoken word parts can also be heard briefly. On this recording Inner Luminis goes into more of an atmospheric post black metal direction, the production sounds very professional while the lyrics are based upon Charles Baudelaire's "Le Voyage". 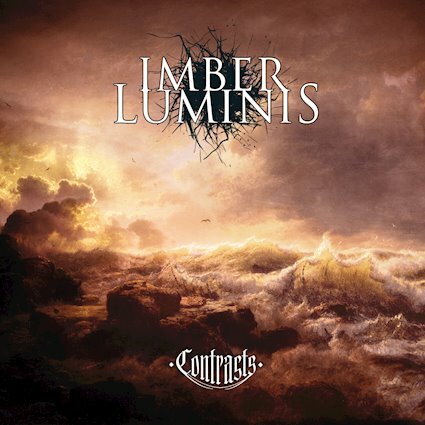 In my opinion this is another great sounding recording from Imber Luminis and if you are a fan of post black metal, you should check out this album. 8 out of 10.